Margaret LaRiviere, AUP Class of 2015 at The Citadel, reflects on her summer travelling the Coast Guard as an intern with the Master Chief Petty Officer of the Coast Guard Reserve. I experienced so many aspects of Coast Guard life while working as an intern for the Master Chief Petty Officer of the Coast Guard Reserve Force, MCPO Mark Allen, and his assistant SCPO Jarbeck. Their mission at USCG headquarters in Washington, DC is specific in implement policies that benefit the entire Coast Guard and Coast Guard Reserve. They ensure that the Coast Guard has what it needs to protect and serve the community. However, my experienced moved beyond the walls of headquarters at Buzzards Point in Washington. Pictured Left: Ms. M LaRiviere at the helm of the new 45' RBM out of Yorktown, VA.
Once out of the office I was able to visit local boat stations and training facilities in Virginia, Maryland, New Jersey, and Washington. The Coast Guard is a multi-mission service, as shown through the variety of stations I visited. I visited the campus of Training Center Cape May, NJ where enlisted members begin their careers. It is apparent how crucial teamwork and motivation is to complete a task quickly and correctly- two characteristics they will keep sharp for the rest of their careers. From the Aids to Navigation Station in Baltimore tending buoys, running drills at small boat and Air Station Washington, and 'A' School in Yorktown driving the new '45 RBM, I witnessed the commitment and service that Coast Guardsmen provide to ensure that our waters are safe. In addition to visiting Coast Guard facilities, I was introduced to civilian schools such as the Federal Bureau of Investigation (FBI) Academy in Quantico, VA as well as MITAGS a school for Civilian Maritime Captais. I also had the pleasure of working with Auxiliary Flotilla Northern Virginia and AUP Unit Washington. I went underway with Auxiliarists and fellow AUP members, where we conducted a search and rescue (SAR) exercise while training underway on the Potomac River. Overall, it was an enriching experience, introducing me to all aspects that the Coast Guard has to offer from officer to enlisted, sea or air, recruitment to retirement. 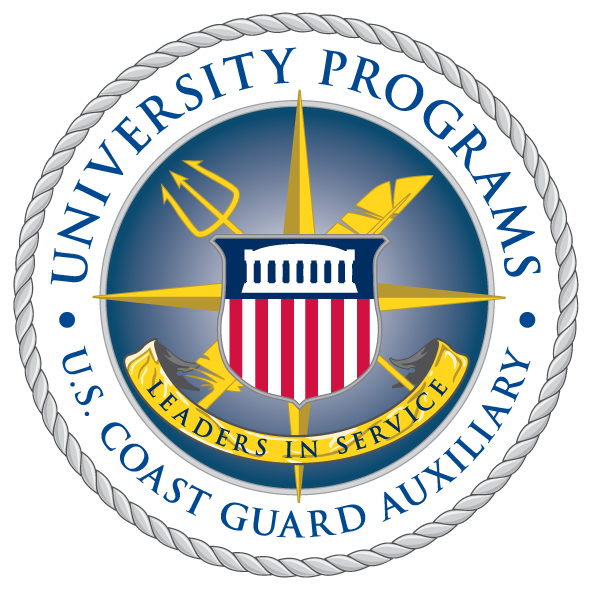 My Auxiliary University Programs internship renewed my passion for our expert maritime service.